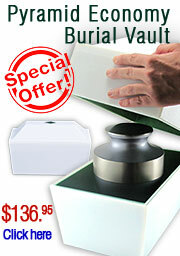 Info on choosing the correct size urn, click here. 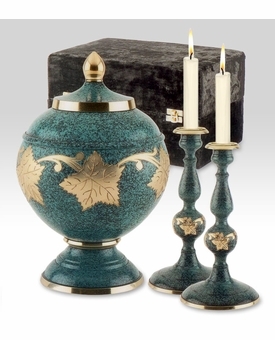 The Patina Leaf Memorial Set with Urn and Candlesticks are solid brass with a stunning marble patina lacquered finish and hand-etched artwork. The set features an urn with a threaded top to secure the contents, a felt bottom to protect display surfaces, and two matching candlesticks. A velvet case is included. Note: candlesticks are not for cremains and the set does not include candles. 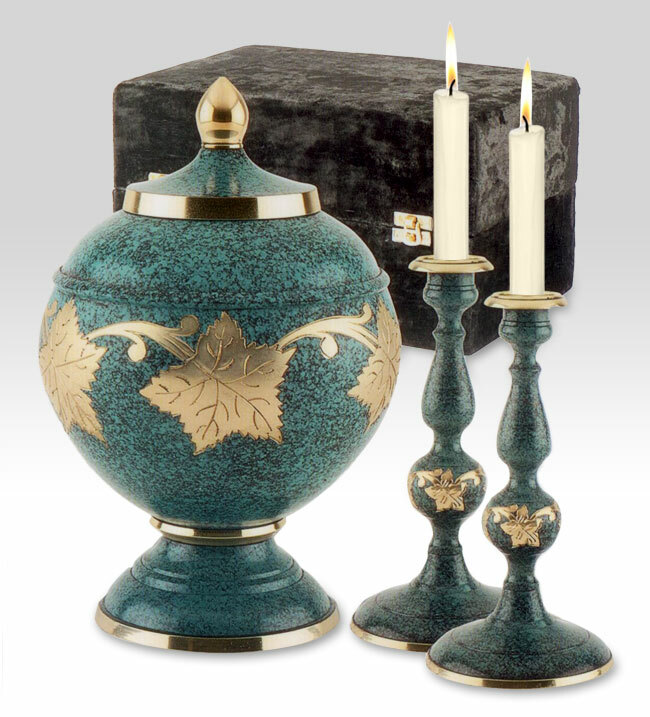 Dimensions: Urn - 11 1/2"H x7 3/4"W; Candlesticks - 7 1/2"